Bring nature’s vibe inside your home with the Mostera Spring three-panel painting. Featuring a beautiful jungle of maple trees, red and orange leaves fallen on the ground give a mesmerizing feel to the painting. 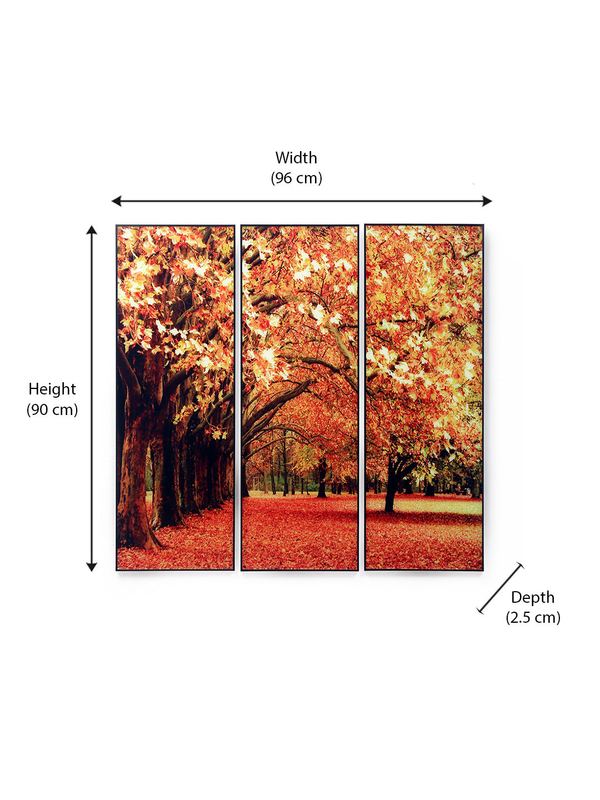 The three different panels of the triptych neatly come together to create a large painting, which has a minimal frame. Give it a special wall in your living room or make it a part of the study room; it creates an illusion of space, too.